The main economic factor resulting from wind and hail damage to corn and soybean fields is yield loss through elimination or reduction of grain production. In addition, much of the residue that would usually be available for erosion protection or winter forage is also lost. If replanting after a hail event is not an option, integrating cover crops into post-hail management practices may be an option. 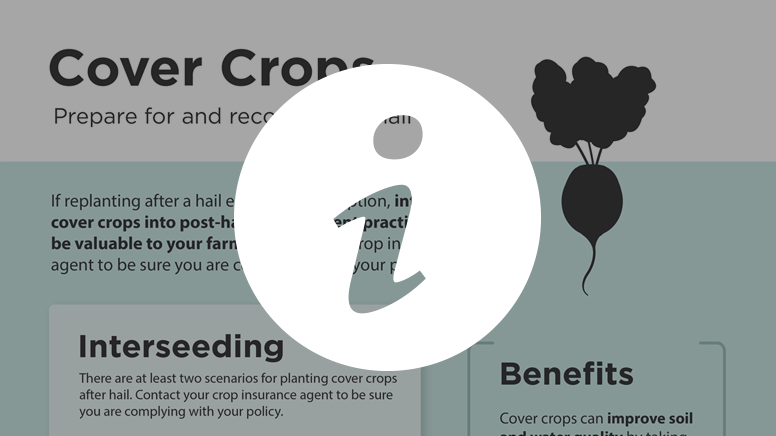 This infographic shares what you need to know about cover crops: benefits, interseeding, and selection. If replanting isn’t an option after hail, adding cover crops in a poor stand may help you reap benefits in the current year and next year. Cover crops can take up applied nitrogen not taken up by the current crop and repurpose it for next year’s crop. They can also suppress weeds and provide late-season forage. 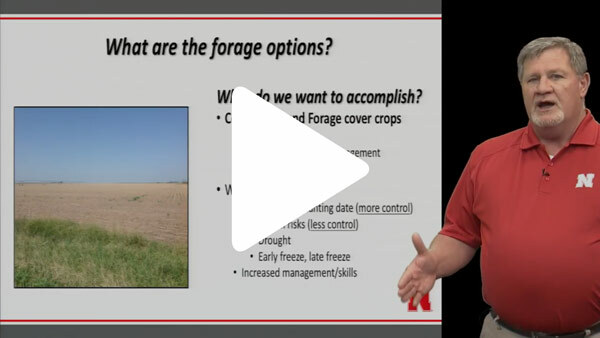 This presentation covers cover crop forage options following hail damage in corn and soybean fields, recommended planting date, use of warm- versus cool-season grasses, recommended grazing strategies, and available resources. 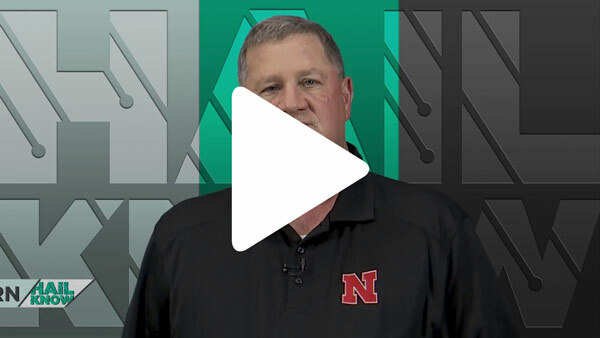 Daren Redfearn, Nebraska Extension Forage Crop Residue Specialist.